I have an odd fascination with sampler CDs. Well, it's not that odd. There are just a lot of games that I only enjoy for one stage. I usually list Tony Hawk's Pro Skater as my favorite example of this. 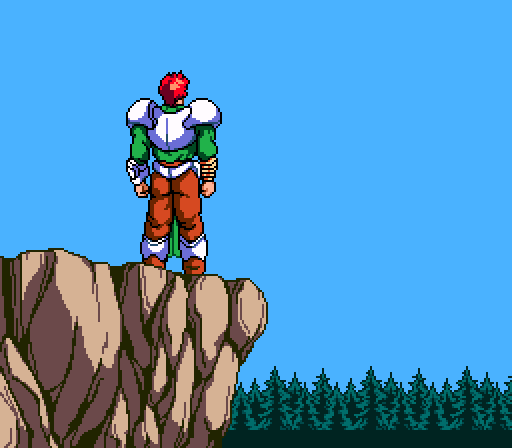 It's not a bad game but after one stage I'm pretty much done with it. I get that a lot of people were really into it as some point. That's cool, not my thing though. I also like the concept of magazines that include sampler CDs. It probably wouldn't work so well today. You'd pop that sampler CD in your PS4/XBone and wait 3-4 hours for it to download & install 12GB of updates. You may wonder why I think a sampler CD would need updates but deep down you know this is exactly what would happen. 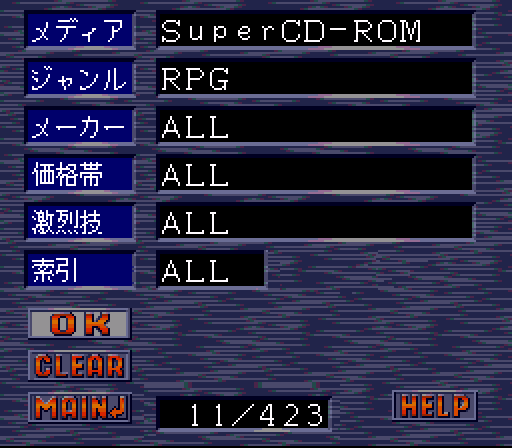 In Japan there were a variety of sampler CDs published for the PC Engine. Here in the US the system wasn't popular enough I guess. These are surprisingly not-cheap to collect but I've managed to get good deals on a couple of them. My most recent pick-up is Hyper Catalog which was published in 1992. 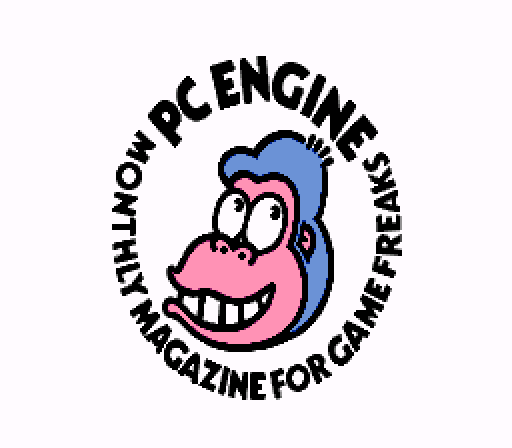 In 1992 the PC Engine CD was viable in Japan but dying in the US. Of the six things previewed on this CD only two of them had US releases. So for me it's interesting to see a couple games for the first time. The splash screen which is in English. I guess that must have been considered cool or edgy. That's fine of course. Some Americans think it's cool or edgy to get Japanese characters permanently tattooed on themselves. I'd enjoy a reality show where people with Asian character tattoos have experts reveal what they really say live in front of an audience. 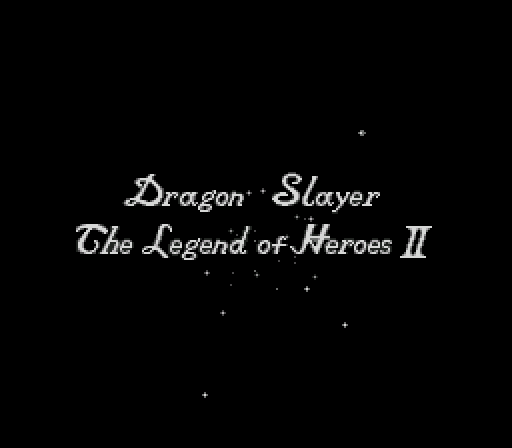 The title screen, I know this isn't terribly exciting. Maybe I'll get that logo tattooed on my back so I fit in better. 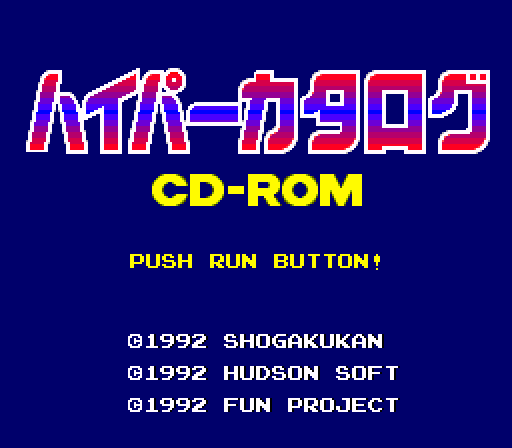 Then we have the Bonk intro which is odd because there aren't any Bonk games on this CD. 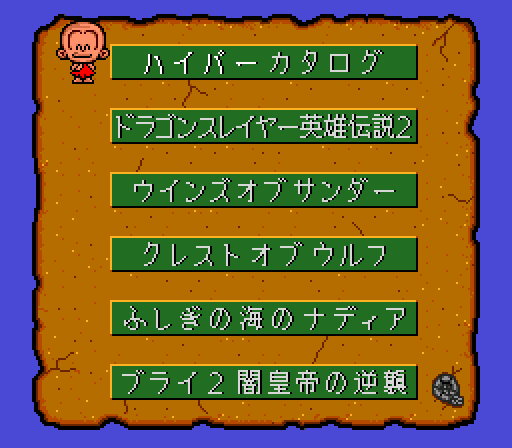 The menu which is also Bonk themed. Let's look at these items in order. The first option is the catalog, hence the name of the CD. There are a variety of filter options like system, genre, and price range. This is the game details page. I suppose these CDs are a good reference for people looking to confirm specific release dates of games. 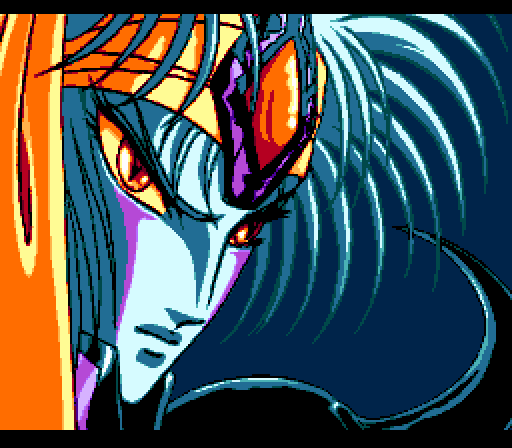 The next item is a teaser for Legend of Heroes II, a game we never saw in the US. I don't believe this version has a fan translation either. That's very high on my wish list. 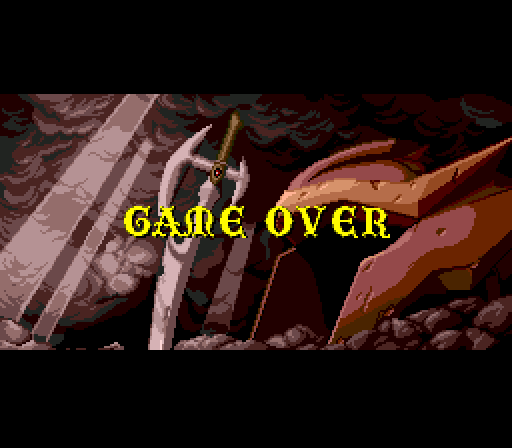 Like most Falcom games on the PC Engine CD, there's an animation before the title screen. 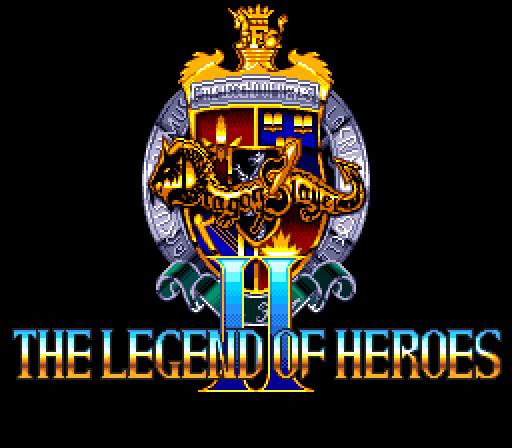 Followed naturally by the title screen. After that there's another animation and that's all you're getting folks. 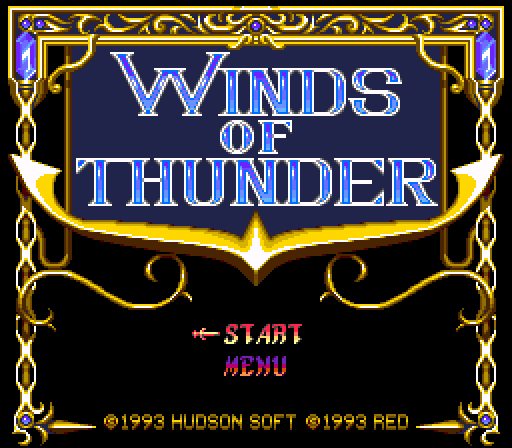 Next is a playable demo of Winds of Thunder (Lords of Thunder in the US, but you knew that already). There's no stage select or shop, only the screen to select the armor. You can then play through one stage. I am completely awful at most shooters and this is no exception. Here's me failing to complete even one stage. 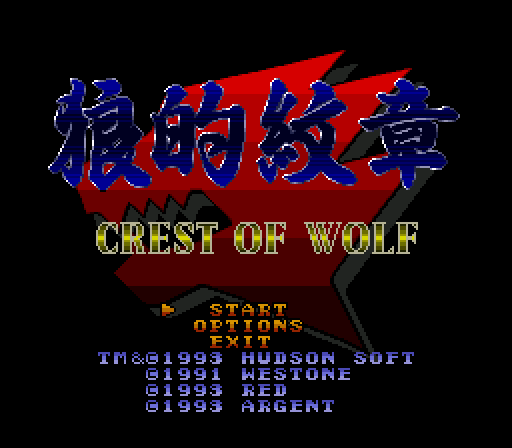 Then there's a playable demo of Crest of Wolf. I didn't understand that title until I played through the US version (Riot Zone). Since this sampler is a little light on content, I'll use this time to note some differences between the versions. 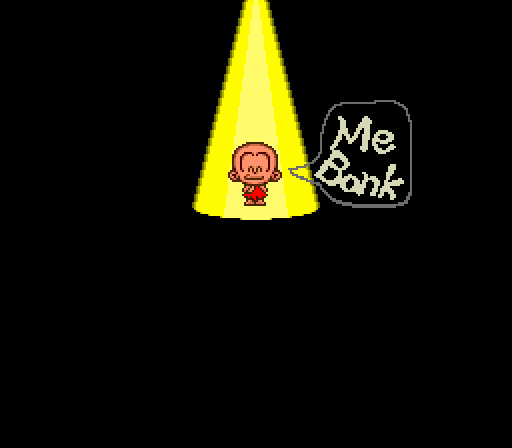 The artwork on the title screens is a little different. The "Exit" menu is only on this sampler version. The biggest difference is the Japanese release has twice as many copyright entries. The sampler starts the player on Stage 2 of the game. Which if you play through the whole game is a better Stage 1 than the actual Stage 1 they used. 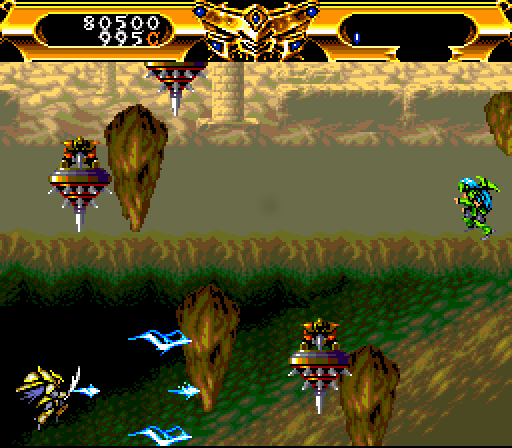 It's shorter and generally easier, especially the end stage boss. The most obvious difference is that one enemy type has been re-skinned. They have the same move set and health meter otherwise. 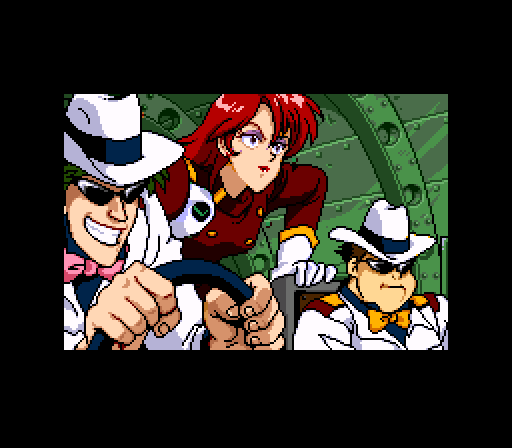 In the Japanese version they have this neon trucker look and in the US it's more of a fighting monk vibe. Perhaps this was a licensed character, which would also explain the copyright differences. A more subtle difference is the placement of the lives counter. Here's another example of the sprite re-skin. 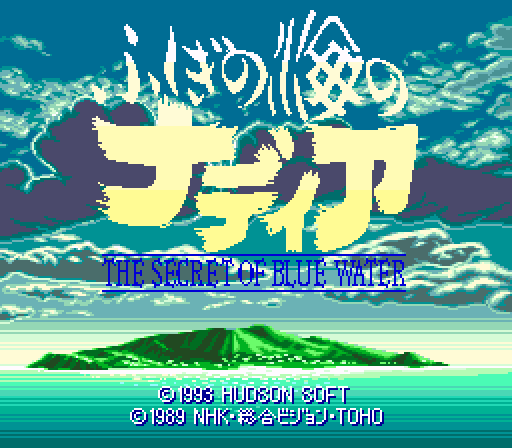 Next on the CD is the intro for Nadia: The Secret of Blue Water. I know this is based on an anime series but not much beyond that. 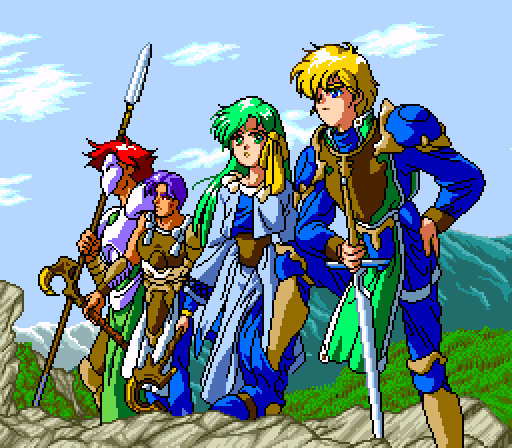 This opening animation makes the game look kind of interesting. I'd be willing to give it a try. It's not very expensive to import but lacking a translation I wouldn't get far in it. 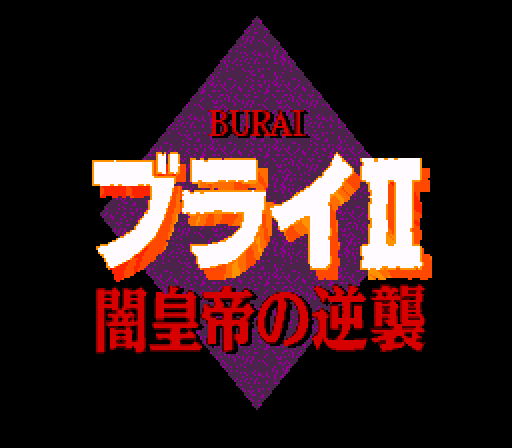 The last item is a Burai II trailer, or maybe it's also the intro. There's some dialog between a couple characters with wild hair. 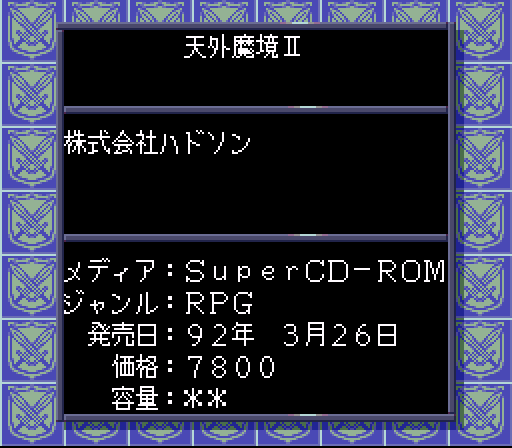 This is another really cheap game to import, again because it requires Japanese reading skills to get through. After the dialog there's a screen with release info. Now for the real question - is this CD worth it? If you like shooters and brawlers for about one level then sure. I assure you, if you keep an ebay search going long enough you can find this for $10-$12. That's about 10% the price of buying Crest of Wolf/Riot Zone or Winds/Lords of Thunder. You also only get about 10% of the game. If you only want to try them a little bit then it's an OK deal. The other three trailers are neat to watch once or twice, that's about it. 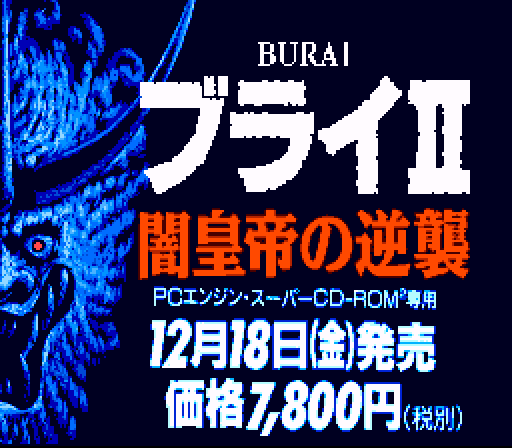 Let's be real for a minute, the target demographic for this is oddballs who want to collect PC Engine CD samplers. I'm certainly one of those and I think this is a neat little addition to my (small) collection.